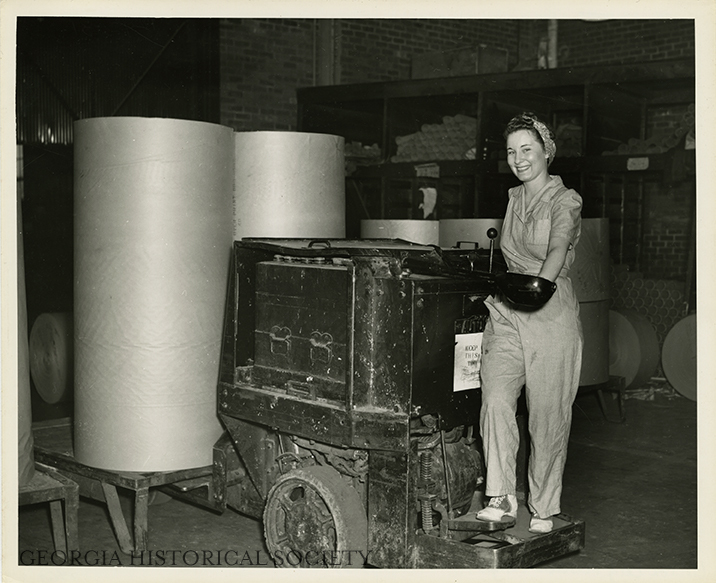 The Union Bag & Paper Company, like many companies, began hiring women during the World Wars. Based on what you learned during your time learning about World War I, what do you think happened to these women after the war? Even during the wars, who do you think might have been excluded from these formerly male-dominated jobs? How were these companies progressive in their hiring and how were they regressive during and after World War II? Union Bag & Paper Company, Union Camp , 1942. Foltz Photography Studio (Savannah, Ga.) photographs, 1899-1960. 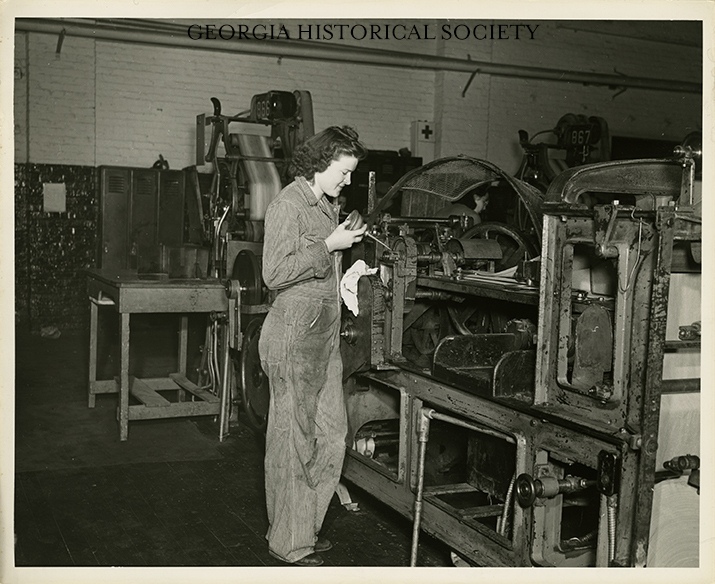 From the Georgia Historical Society. MS 1360.